The bananas need to be extra ripe. See how black they are here in this image? They have been cut open to show you that the fruit in side is still good. The banana is no longer firm but more pliable to mash and there is more sugar at this stage of the fruits life. These bananas were bought at market with a little green in them and left in the fruit bowl for 5 weeks to get them this black and prepared for baking banana bread. Also using less vegetable oil, only ½ cup and adding ½ cup of Greek yogurt will give you the moist bread that you want. Make sure your eggs are room temperature. This allows for the protein that is in the egg to separate better with the other cake ingredients, also making for moist bread. Always sift the dry ingredients allowing for no large air pockets. Large air pockets do not allow for moist bread. Do not over beat your wet ingredients. Add wet ingredients to dry ingredients just before pouring batter into baking dish. Once the baking powder and soda hits something wet it starts to react. You want this reaction to happen as you put it into the oven and not before. For more information on how food correlates to a healthy you, visit: Savor the Food and Your Health. 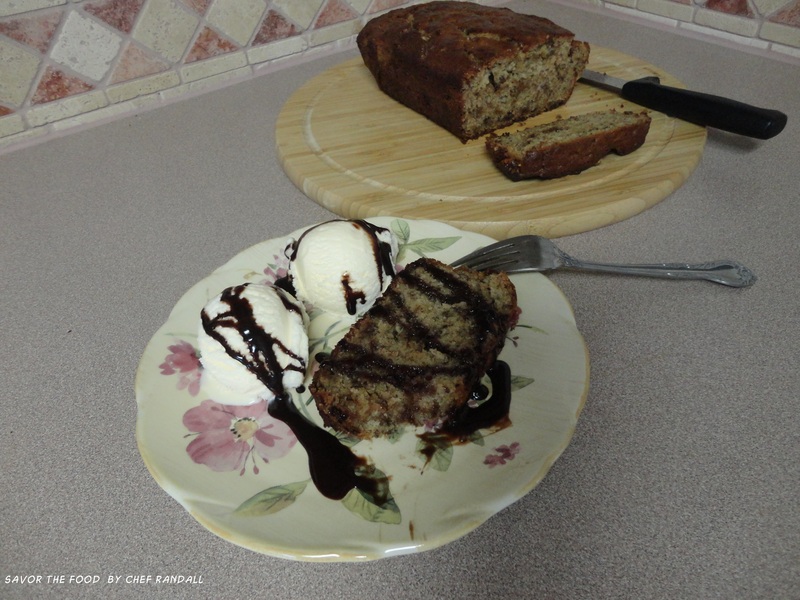 This entry was posted in Dessert and tagged Baking powder, Banana, Banana bread, Bread, Fruit, Ingredient, Strained yogurt, Vegetable oil. Bookmark the permalink.